Although the sun was beating down on the Sochi circuit, it was a scrappy day of free practice for many teams and drivers. Sergey Sirotkin was in at Renault, celebrating a Friday appearance in front of his home crowd, but it ended with his engine switching off. Esteban Ocon also suffered in the engine department in a slightly different way, the pink engine cover on his Force India flew off the back of the car as he was braking. Meanwhile, Kimi Räikkönen went fastest, whilst Ferrari teammate Sebastian Vettel hit the kerbs hard and sent himself into a spin. In the second session, Daniil Kvyat spun his Toro Rosso in front of his home fans, but he wasn’t the only driver pushing too hard. All day there were spins and lockups, and cars running wide. Romain Grosjean had a spin and cried “What the hell is going on?” Max Verstappen suffered a loss of power that brought his Red Bull to a halt at the entrance to the pit lane, whilst it was Ferrari who finished ahead for the second session in a row. 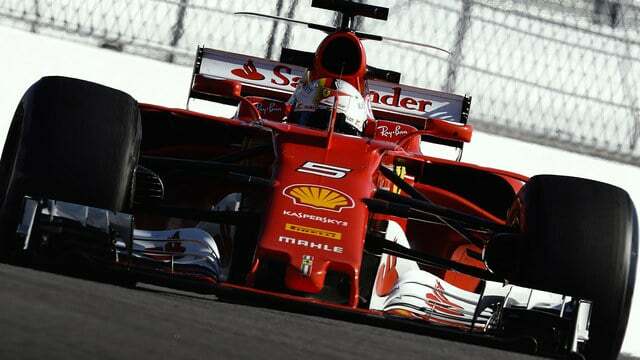 This time, it was Vettel who ended the day on top.